Making the shift to the private cloud and running it at your company presents several challenges. 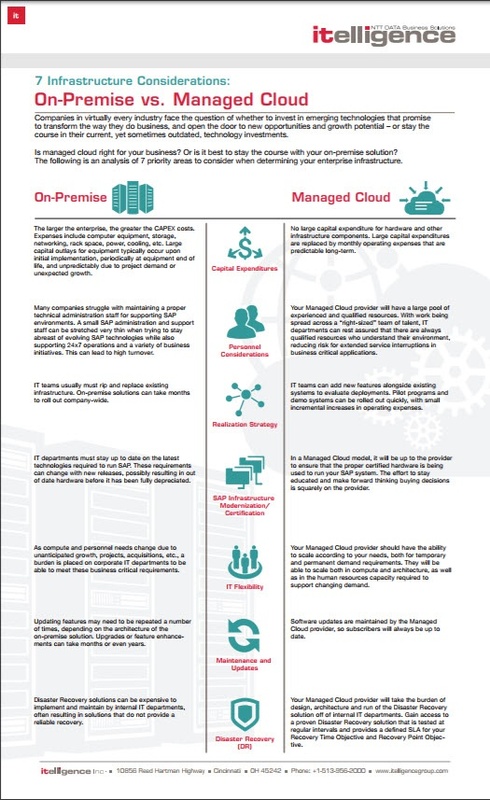 Companies that opt for a private cloud infrastructure are responsible for maintenance, and many enterprises don’t have the experience to determine an effective ownership strategy. This is where an expert private cloud partner enables you to get the most out of your cloud platform, but many cloud providers only offer rigid service packages that may not fit your needs. itelligence Private Cloud Edition for SAP S/4HANA addresses these issues by offering users complete flexibility, from migration to maintenance services. itelligence offers a range of different packages and allows customers to move to a different bundle if they wish to scale up or down. 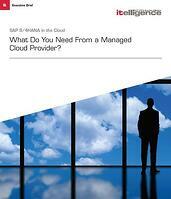 In this way, enterprises only purchase what they need. 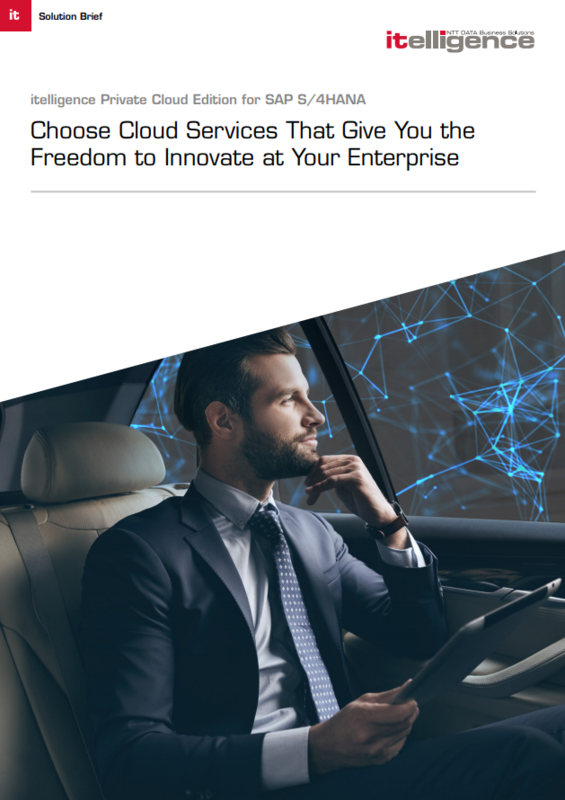 To learn more, download our solution brief, Choose Cloud Services that Give You the Freedom to Innovate at your Enterprise.